With today being the first day of May, I’m already starting to plan out my recipes for Cinco de Mayo. What better excuse to cook up some good food and relax with friends and family?! Instead of sticking to a bunch of store bought items and appetizers, I’ve decided to create a fun, fresh menu for everyone to enjoy. Here in Florida, it is sunny and not too hot yet, which makes it the perfect time to be outside. 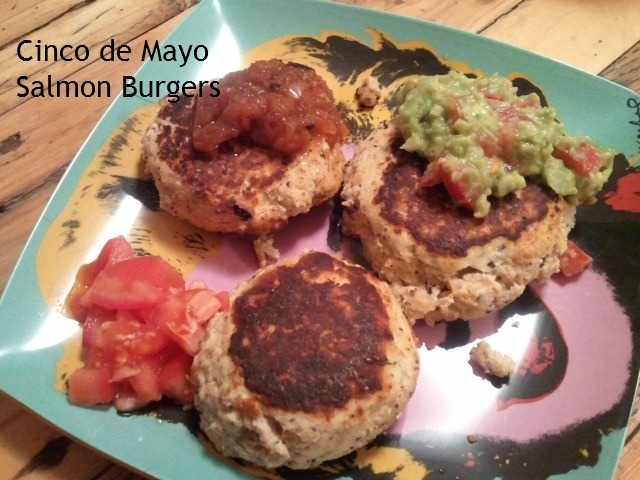 Burgers are the first food that comes to mind when I think of outdoor events, but instead of grilling regular burgers, I’ll be trying Amber Williford’s Mexican Salmon Cake Recipe. Drain salmon cans well. Mix ingredients together in a bowl. Take a small handful of the mix, roll it into a ball and then flatten slightly to form the cake. Coat your frying pan with coconut oil, cook on medium high heat for a few minutes on each side. If the sides aren’t cooking as fast as the top and bottom, just put a lid over the pan for a couple minutes. Feel free to use fresh salmon in this recipe if you prefer that over canned. Amber also recommends that these salmon cakes can also be baked in the oven if you’re not a big fan of doing them on the stove top. To complete this meal, I’m going to make homemade guacamole with tortilla chips, a margarita, and Jen’s mini churro bites. 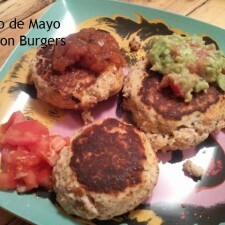 Do you have a favorite Cinco de Mayo recipe? Make sure to visit Amber’s website for daily recipe ideas, nutritional information, and ways to improve your overall lifestyle. Full recipe credit goes to Amber Williford from ExSoyCise.